S P Setia Bhd’s 2,525-acre township, Setia Alam, has won numerous awards over the years and it is no different this year. Its medium-cost apartments, Seri Mutiara, wins The Edge Malaysia Affordable Urban Housing Excellence Award 2017. 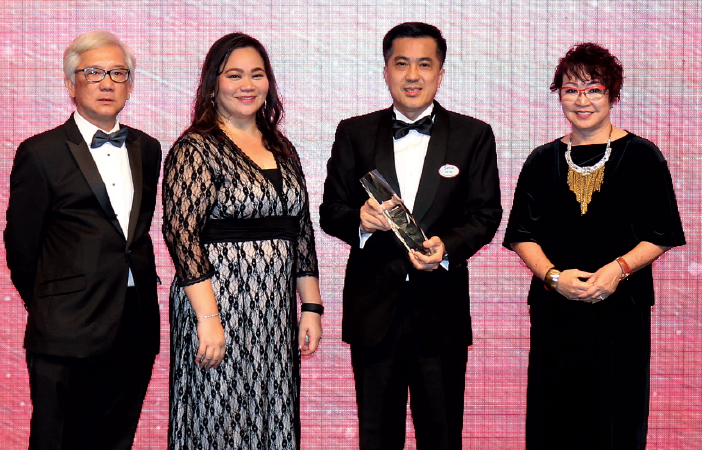 The award recognises outstanding affordable housing projects for the middle-income group undertaken wholly by Malaysia’s property developers in the private sector. This is the second consecutive year the developer has won the award, the first accolade was for medium-cost apartments Seri Kasturi, also in Setia Alam. 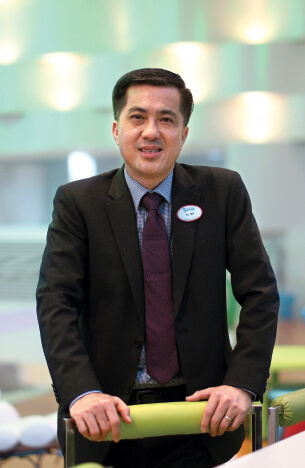 Executive vice-president Tan Hon Lim reckons that teamwork played a big part in the success of the company’s projects in Setia Alam. That, plus good planning and implementation, he notes, have formed a winning formula that makes all of the company’s projects unique in their own way. The freehold Seri Mutiara, which has a gross development value of RM157 million, is the last of five parcels that make up the affordable housing enclave in Precinct 15, Setia Alam, which has since been rebranded The Urban Core. Seri Mutiara comprises six blocks of 676 units — 3-bedroom, 2-bathroom with sizes of 937 to 939 sq ft — sitting on a 16.8-acre parcel. Each unit comes with two parking bays. Facilities include an Olympic-length swimming pool, a children’s pool, kindergarten, playground, surau, badminton court, futsal court, function hall, gymnasium and barbecue pits. The maintenance fee and sinking fees are RM167.20 per month. 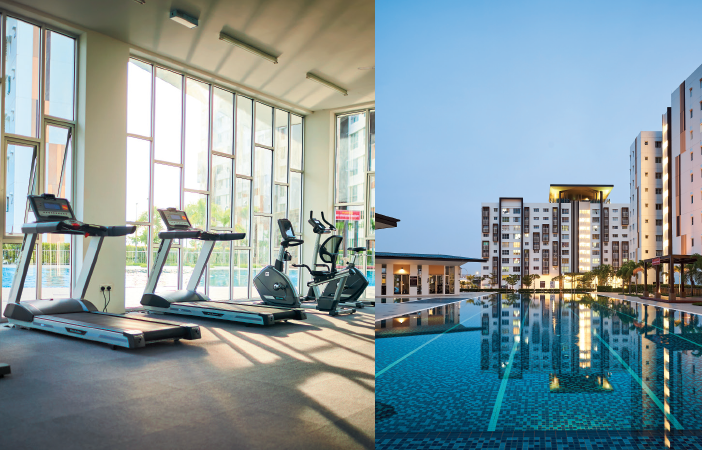 Amenities near Setia Alam include Setia City Mall, Tesco Hypermarket, automobile centres and various educational institutions such as Sri Tenby private school and Idrissi International School. The project is accessible via highways such as the New Klang Valley Expressway, Jalan Meru, Shapadu Highway and the soon-to-be-built Damansara-Shah Alam Elevated Highway. Seri Mutiara was launched in November 2013 with prices ranging from RM244,000 to RM249,000 and targeting first-time homebuyers and young adults. Tan notes that half of the buyers were first-time homebuyers, with the other half being investors. The project was completed in April 2016, six months ahead of schedule. Tan says the sub-sale price has increased more than 40% to about RM370,000 currently. As there will not be any new supply of apartments in Setia Alam, he is confident that Seri Mutiara will see a sustainable positive price growth of between 20% and 30%. S P Setia has been keeping with its vision to build a significant affordable housing component in Setia Alam. With its LiveLearnWorkPlay philosophy, it believes that even homebuyers from the medium to low-income groups can fulfil their aspirations for quality products and enjoy good returns on their investment. At the same time, the developer is also redefining the perception of affordable housing with Seri Mutiara, showing that such housing can be a positive experience by focusing on planning, design and pre-fabricated construction. A cantilevered roof — which looks like an emperor’s crown — sits atop every apartment block, creating a visual statement. Although they cost time and money to install, S P Setia put in random deep window copings to give the blocks a different, dynamic façade. 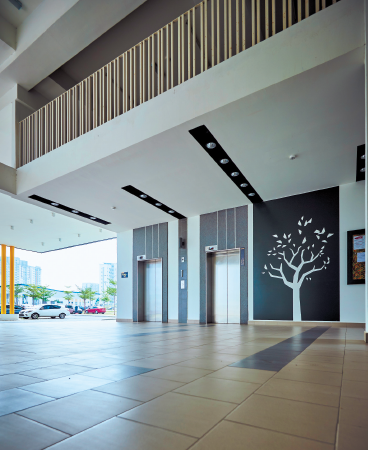 To lower construction cost, S P Setia used the industrialised building system (IBS), which increases construction speed and ensures standards of quality. The development scored 74% under the Quality Assessment System in Construction. Upon entering the single-point entrance with its dramatic veranda, the first thing residents and visitors see is a straight sightline as the apartment blocks are placed on the left, built in staggered horizontal terraced rows parallel to the main road. Tan explains that the design gives the immediate impression of an exclusive urban sanctuary with vast green landscapes and unobstructed views. This design also allows optimal use of the blocks’ upright rectangular shape, while facilitating cross ventilation and adequate sun exposure for each block. “We wanted the development to have a spacious feel, so we spread the blocks across one side of the site. We also put the clubhouse, surau and swimming pool in the centre of the development to enable easy interaction between the residents,” he says. The surau features a cantilevered roof and an Islamic screen that adds to the development’s overall identity and aesthetic. The fully-equipped clubhouse, meanwhile, has a Y-shaped configuration that offers direct views of the pool from the gymnasium and multipurpose hall. Each block has a covered drop-off area as well as a waiting area. The double-volume lift lobby also continues the urban retreat ambience with recessed light and wall patterns. Each apartment block is shaped like a butterfly to offer cross ventilation and increase natural lighting. Tan explains that the blocks are also paired up to offer an oval-shaped common space in the centre, complete with landscaping and facilities. These blocks are also arranged in a North-South orientation to reduce heat gain within each unit and create an energy-efficient passive design. This arrangement creates an East-West orientation for the corridors that receive natural daylight and reduce over-dependence on artificial lighting. S P Setia also focuses on long-term maintainability, minimising costs and resources so the project will function efficiently throughout its lifespan, says Tan. The developer has considered ease of access to inspect and maintain common areas and facilities. Access provisions were designed with safety in mind and to provide sufficient circulation and working space for maintenance workers.